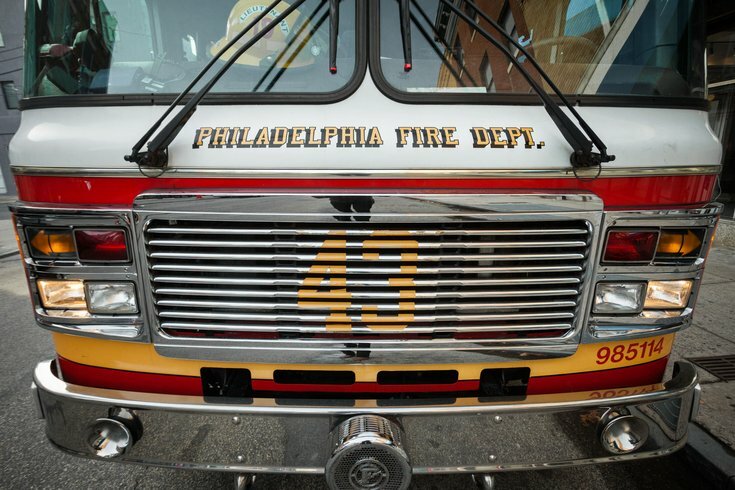 Five Philadelphia firefighters are recovering after their ladder truck crashed in West Philadelphia Sunday morning, damaging five vehicles as the vehicle partially rolled over. Fire officials said the crash occurred around 10 a.m. at 55th Street and Baltimore Avenue, according to NBC 10. Firefighters in the Philadelphia Fire Department's Ladder 13 truck lost control of the vehicle, which slammed into a parked car and struck several others in a row. The accident occurred about 4 blocks away from the Ladder 13 firehouse on 52nd Street near Willows Avenue. Witnesses said the truck appeared to be responding to a call when it lost control. In a tweet Sunday morning, the Fire Department officials said the crash remained under investigation. Update on the crash involving L13: No civilians injured. FFs sustained minor injuries. Still investigating.